Hi everyone! Kimmie here. 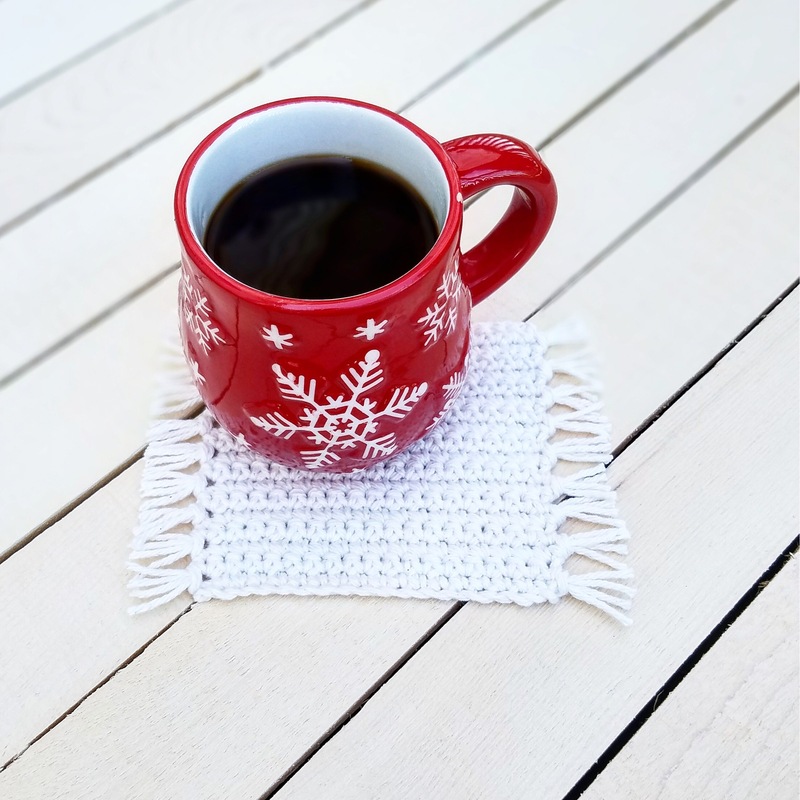 I recently found the perfect coaster pattern by Holly from Carpe Lana and fell in love! Its size and trendy design make it the perfect addition to any table or desk. Holly has graciously agreed to share the pattern with us!! How cool is that?! I hope you all enjoy and please be sure to check out @carpelana on Instagram & tag her in your photos. 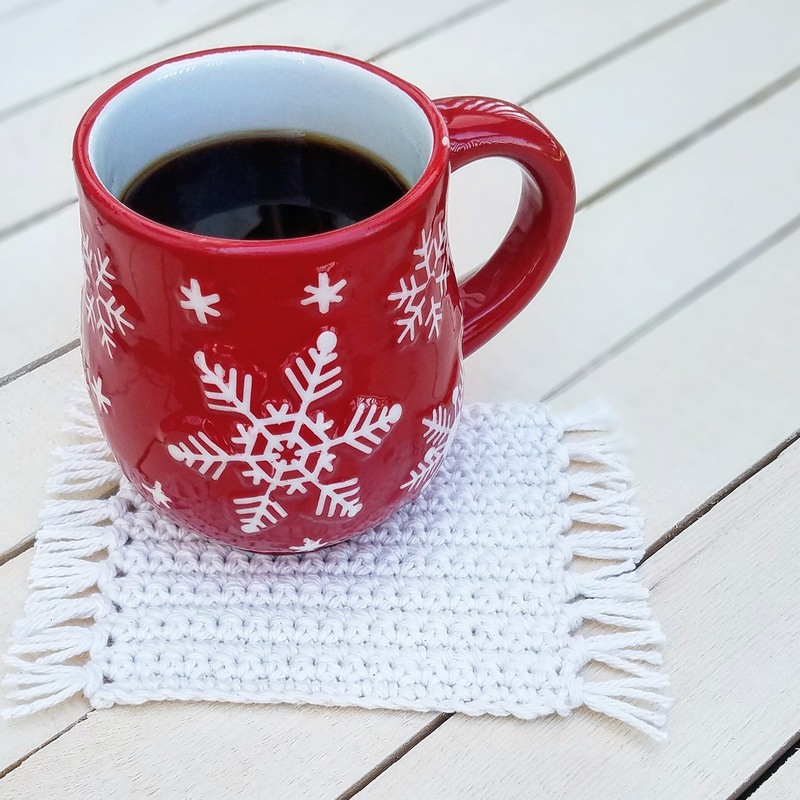 Thank you for checking out my mug rug pattern! I hope you enjoy creating these as much as I did. If you have any questions please contact me through Etsy, email, or Instagram. Please do not alter, share, or sell my pattern or photos. Feel free to sell finished items using this pattern. However, if you are selling online please link back to my Etsy and Instagram. Thank you! This pattern is very customizable in color and size. 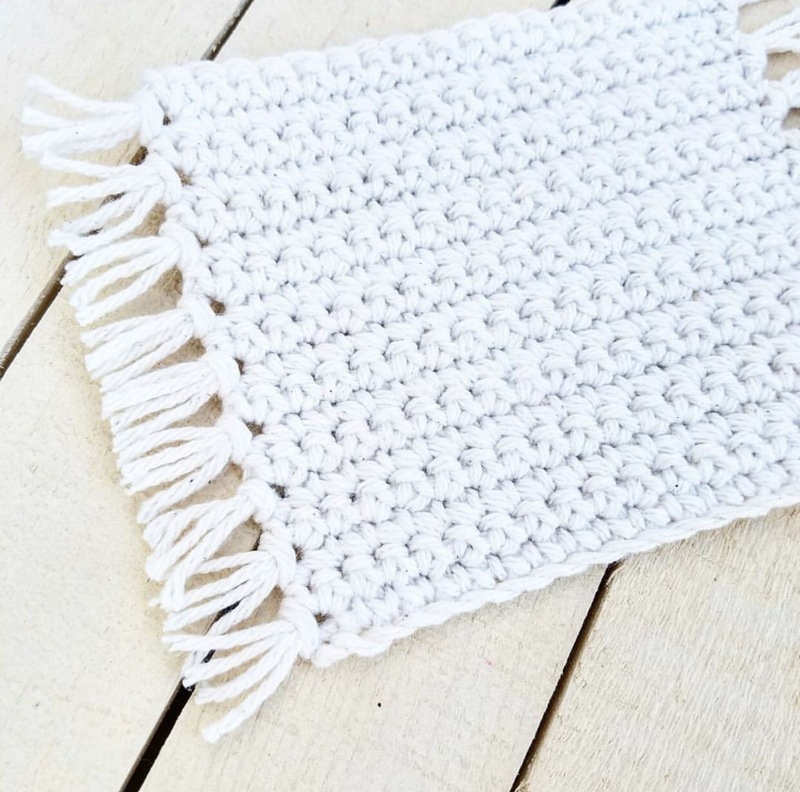 Try it out with different size hooks or colors to make a mug rug that is completely your own! 4. Fasten off and weave in ends. 5. Cut 32, 5-6” strands of yarn to create fringe. Each side has 8 sets of fringe with two strings creating each one. Tie fringe evenly on sides and cut to the length you desire. How many can you make out of 1 ball of this yarn?